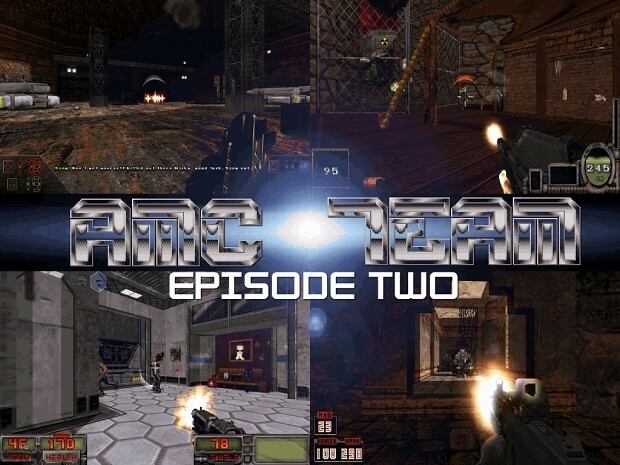 Episodes one and two of the AMC TC - a standalone game based on Duke Nukem 3D. This release contains both Episodes one and two of the AMC TC, so if you've never played before all you need is this. If you've already beaten the first episode, grab this file and then copy your data and eduke32.cfg file over to the new Episode 2 directory in order to carry all your progress over. After a period of peace during which the AMC Squad has been building its strength and numbers, dark forces begin to stir up trouble in the prosperous city of Hong Kong; wielding an army of shadow creatures such as those fought by Lo Wang. Later on, new and old enemies unite with the means and the capacity to wreak havok to the entire solar system. Do you have what it takes to stop them? Featuring new weapons, equipment, enemies, bosses, and a new playable character, Episode 2 brings a massive amount of content to the table. Prepare yourself for an epic adventure. Episode two of the AMC TC - a standalone game based on Duke Nukem 3D. This release contains both Episodes one and two of the AMC TC, so if you've never played before all you need is this. If you've already beaten the first episode, grab this file and then copy your data and eduke32.cfg file over to the new Episode 2 directory in order to carry all your progress over. After a period of peace during which the AMC Squad has been building its strength and numbers, dark forces begin to stir up trouble in the prosperous city of Hong Kong; wielding an army of shadow creatures such as those fought by Lo Wang. Later on, new and old enemies unite with the means and the capacity to wreak havok to the entire solar system. Do you have what it takes to stop them? Featuring new weapons, equipment, enemies, bosses, and a new playable character, Episode 2 brings a massive amount of content to the table. Prepare yourself for an epic adventure. Brilliant news! I'm downloading now. Thank you and the entire team, for all the hard work that went into this project. Playing a bit tonight, and much more this weekend; then I will leave a proper comment. This mod should work under Mac, Linux and BSD using Eduke32, however it won't work! The reason is as simple as this: On all modern not Windows OS, capital and not capital letters are considered different characters. If you define on a file "Include GAME.CON" and on the folder the file it is written "GAME.con", it won't find it. You can fix the problem tracing the offending file and renaming it, but to do so on such a huge project with over a thousand files is a punishment! Please, I beg the developers to consider such practises while programming! It is the only thing that prevent your project on being multi platform and opening it to many other people! Sorry about this, it's something I completely forgot about since we're all using Windows on the team. Sometimes the Eduke32 dev team member Helix prodded me but he hasn't been around lately so it completely slipped my mind. I'll try and fix this for the next update. hi, where is the first episode? Thanks Jblade35. I'm looking forward to trying your mod. thanks for the relase, I'm gonna download it! I finished the first mission, but it seems I'm unable to go further. Where do I get the second mission? The briefing room shows nothing else. Beside, what's the bat for? Just flavour? And what about the globe I've found that I can activate? It's a white one that I've found near a sniper rifle inside the first mission.. The second mission is on Ganymede; when you pull up the mission command, hit the grid button on the top bar to zoom out to the solar system. It's one of Jupiter's moons. When you say white globe, are you playing as Sang? That's a Mirror orb, which when activated will reflect all damage from an enemy back onto the enemy itself. Uhm, strange issue I have no .bat file in my folder. You should just be able to run the included Eduke32.exe to start the game.